A KERRY community was buzzing with excitement today as news spread that a local person may have scooped a cool €250,000 on last night’s Lotto Plus 2 Draw. 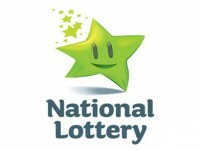 The National Lottery confirmed that the shop that sold last night’s winning Lotto Plus 2 ticket is Eagers of High Street in Killarney. A delighted shop owner, Pat Duggan, said today he couldn’t believe it when the National Lottery contacted him with the great news. A National Lottery spokesperson appealed to all its Kerry players to check their tickets to see if they are holders of this golden ticket. The winning Lotto Plus 2 numbers are: 3, 6, 19, 21, 35, 43, and bonus no 11. LAst night’s Lotto jackpot of €2m was not won and next Wednesday’s jackpot is expected to be €2.5m. This is the 2nd Lotto Plus 2 top prize win since new game enhancements were introduced to Lotto Plus in September which see in excess of 50% more winners and the creation of more millionaires across Lotto and Lotto Plus.